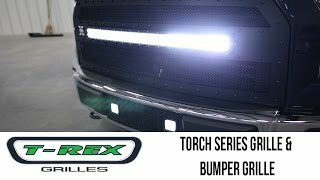 Come inside the Total Truck Centers™ garage as we take you through the installation of some of today’s hottest truck accessories In this episode, we install the Torch Series Grill from T-Rex Grilles on a 2015 Ford F-150. Want to check out more about T-Rex Grilles? 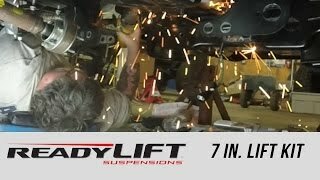 <p>Come inside the Total Truck Centers&#x2122; garage as we take you through the installation of some of today&#8217;s hottest truck accessories In this episode, we install the Torch Series Grill from T-Rex Grilles on a 2015 Ford F-150. 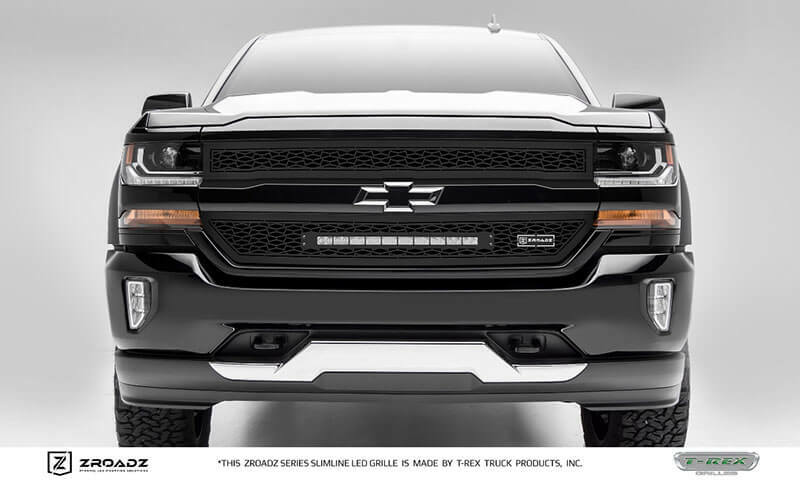 T-Rex ZROADZ series grilles are the newest addition to T-Rex’s huge selection of grille styles. ZROADZ grilles feature an exclusive repeating laser-cut pattern, high-output ZROADZ Slimline single-row lights, and matching wiring harness all in one package. Simply install the light into the grille, mount the grille, run the pre-terminated wiring harness, and you’re ready to hit the trail. These economically priced grilles are easy to install, and the one-piece design fits like OEM. ZROADZ grilles are finished with a black polyurethane powdercoat and carry a lifetime structural warranty, three-year finish warranty, and lifetime light warranty. Includes high-output single-row light bar, wiring harness, and installation hardware. Laser cut for a precise, perfect fit. Lifetime warranty on grille and light. “Freedom Ford” is The AAM Group’s 2016 project vehicle, a Ford F-150 wrapped in a black digital camo blended with a custom American flag graphic. Boasting 35” tires and a 7” lift, the Freedom Ford is an imposing presence and a patriotic tribute to the hard-earned liberty we enjoy in the United States thanks to the vigilance and sacrifices of our most courageous citizens. Freedom Ford is being outfitted by many of the biggest names in the truck aftermarket. See it live in booth #SU02 at this year’s SEMA Show. 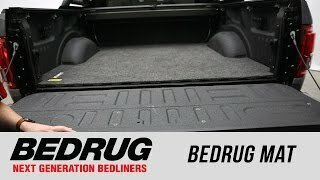 Come inside the Total Truck Centers™ garage as we take you through the installation of some of today’s hottest truck accessories In this episode, we welcome Mike Timmons from BedRug and he helps us install the BedRug Mat on a 2016 Ford F-150 Super Crew XLT. Want to check out more about BedRug? Now you can bolt-on an Edelbrock E-Force Supercharger system and boost the power in your 2014–2016 Chevy Silverado or GM Sierra 1500. The 1566 Edelbrock Supercharger system is specially designed for your GM application and will help boost your towing performance to impressive levels. These systems feature 12-inch intake runners for maximum low-end torque—making them ideal for towing and off-road performance applications. 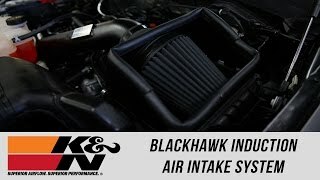 Edelbrock’s Stage 1 street systems are emissions legal (E.O. Number D-215-89) for your daily driver. Everything fits right out of the box (no welding, cutting, or grinding). Little-to-no decrease in fuel economy. Maximum low-end torque and instant throttle response. Thanks to some nifty engineering, Dee Zee is now offering an Easy-Ship Toolbox: a bolt-together design that can be delivered to your door via a standard small-parcel carrier, with no delivery appointments, signatures, or extra waiting required! Offering the same durability and quality as Dee Zee’s other boxes, the Easy-Ship Toolbox can be assembled in as few as 45 minutes using the included instructions. The upper portion of the box ships completely intact with lid, shocks, foam gasket, and handles, while the body panels are cleverly nested inside for shipping. The Easy-Ship Toolbox is available for full-size applications and can be assembled on your schedule, while also eliminating wasted transit time and reducing shipping costs. The box will be waiting on your doorstep at the end of the day, with no inconvenient appointments keeping you from your important work. Ships to your door by standard small-parcel carrier. Non-rusting Brite-Tread aluminum with 0.056 body and 0.063 lid. SRT (sound reduction technology) lid adds density for a secure-sounding closure. Smooth-finished 0.080 mill ends for rigidity. Assembles in as little as 45 minutes with stainless steel hardware. Double V-pan lid stiffener creates strength and rigidity. Locking stainless steel paddle latches, gas shocks, and foam gasket. <p>Thanks to some nifty engineering, Dee Zee is now offering an Easy-Ship Toolbox: a bolt-together design that can be delivered to your door via a standard small-parcel carrier, with no delivery appointments, signatures, or extra waiting required! The Genesis Elite roll-up tonneau from LUND features a soft, low profile constructed from luxurious twill. Its specially designed weave makes the Genesis Elite virtually maintenance free, with no special cleaners required: just rinse with water and let air dry. This tonneau’s innovative design leverages a patented latching and internal tension-control system to maintain a flush, tight fit. Heavy-duty hook-and-loop fasteners run the length of the side rails to provide a reliable seal against dust and moisture. 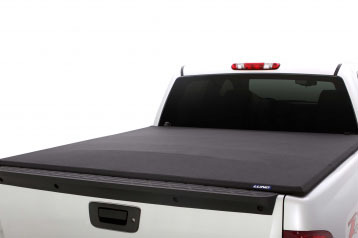 Despite this security, the cover rolls up in seconds to offer full access to the truck bed. LUND provides the Genesis Elite preassembled; plus, it goes on with no drilling (all mounting hardware included). Premium, maintenance-free twill fabric with a black matte finish. Low-profile design with stitched seams and tapered corners. Heavy-duty aluminum rails and bows. Multi-finned rubber seal on both front and rear rail to guard against dust and moisture. Resistant to water, mildew, and UV fading. Cover rolls up quickly for fast bed access. Hassle-free tension control keeps the cover tight. No drilling or special hardware required. Backed by LUND’s limited lifetime warranty. Coming available at the end of December, HDX Stealth flush-mount LED kits with Stealth LED light bars from WESTiN feature flush-mount faceplates that install directly onto the punch plate grille of WESTiN’s HDX grille guard. Plus, you get to choose your preferred installation method: direct bolt on or cut-out punch plate. Kits also include adjustable slider brackets, dual connecting wiring harness, and all necessary mounting hardware. 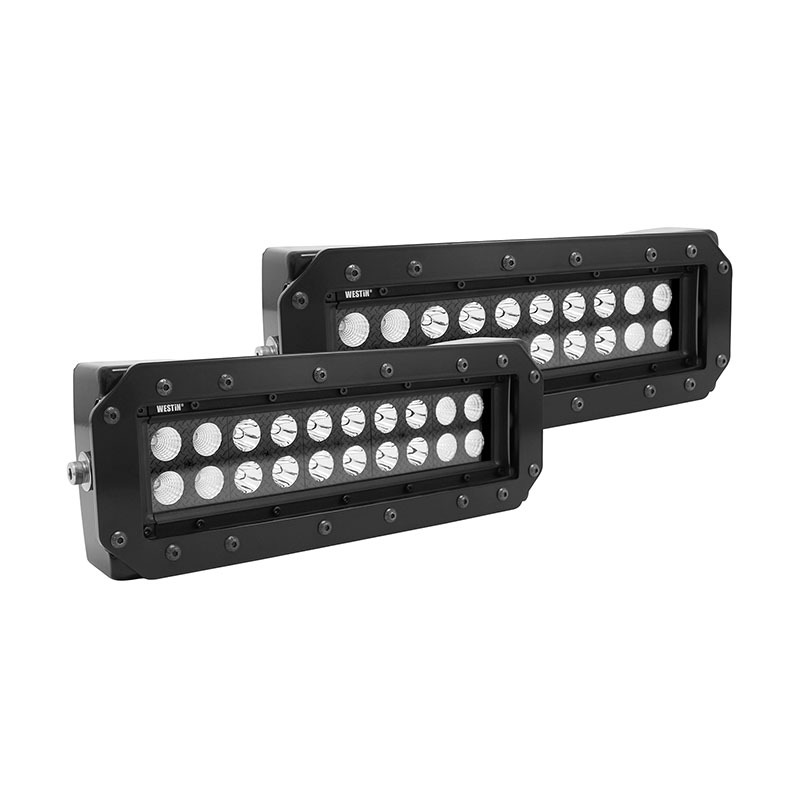 Two SKUs available: 57-0025 (with 6” LED bar) and 57-0035 (with 10” LED bar). Installs onto WESTiN’s HDX grille guard punch plate. Adjustable slider brackets fit most 6” and 10” double-row LED light bars. Choose mounting method: cut-out punch plate or direct bolt-on installation. Enjoy $50 off the following Bestop products purchased between September 1 and December 31, 2016. There’s still time to claim your savings, so click the links below for printable forms and complete details!